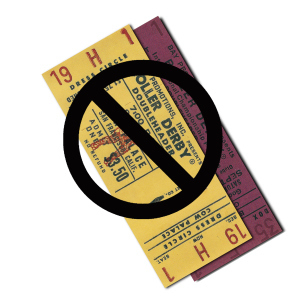 In old Roller Derby parlance, “tickets” meant something else entirely different. Of course you needed a ticket to get in to the event, but to the women of Roller Derby it was a word they used to talk about their breasts. Ann Calvello used to yell at me from the track that her tickets which were so perfect after she was off between seasons had shrunk when she was back in shape and skating, and somehow it was my fault. It was understood between the players that when blocking you avoided the tickets, and the biggest arguments in the dressing room were about accusations that someone had purposely violated this unwritten agreement.